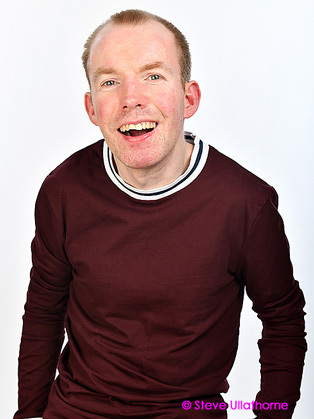 Lee Ridley won the BBC New Comedy Award in 2014. As seen on Britain’s Got Talent (ITV), Lee’s other credits include his own sitcom Ability (BBC Radio 4), The One Show (BBC One), Breakfast (BBC One), Voice Of The People (BBC Three) and BBC At The Edinburgh Festivals (BBC iPlayer). Lee made his first stand-up performance in February 2012 and now gigs all over the country for many of the major comedy bookers and clubs such as The Stand, Glee, The Frog & Bucket, Hilarity Bites and Funhouse Comedy. He has also supported Patrick Kielty and Ross Noble on tour. In 2013 Lee took his first ever solo show to the Edinburgh Fringe and has performed a show there every year since. He has also performed at the Brighton Fringe, Glasgow International Comedy Festival, Leicester Comedy Festival, Nottingham Comedy Festival and Liverpool Comedy Festival. Lee has told jokes/given motivational speeches for a range of charities and organisations including Barclays, Scope and The Royal College of Nurses. He is also a patron of Smile For Life, Find A Voice, Communication Matters and The Sequal Trust.